I love this great Province. There are so many things to do, and all at a very short distance away. Every summer, at least once, I try to take a trip up to the Okanagan. It’s only about 4-5 hours by car, so it’s easily accomplishable in a day, even if you have small kids (I recommend stopping in Hope and Merritt, if you take the Coquahala, otherwise Princeton is always an interesting stop if you take the Crow’s Nest). Once you’re there, there are tons of things to do; lakes abound here, so swimming, boating, sailing, and kayaking are all options. You can camp, or you can stay in a world-class resort (like Predator Ridge). There’s great food, and there’s great wine. 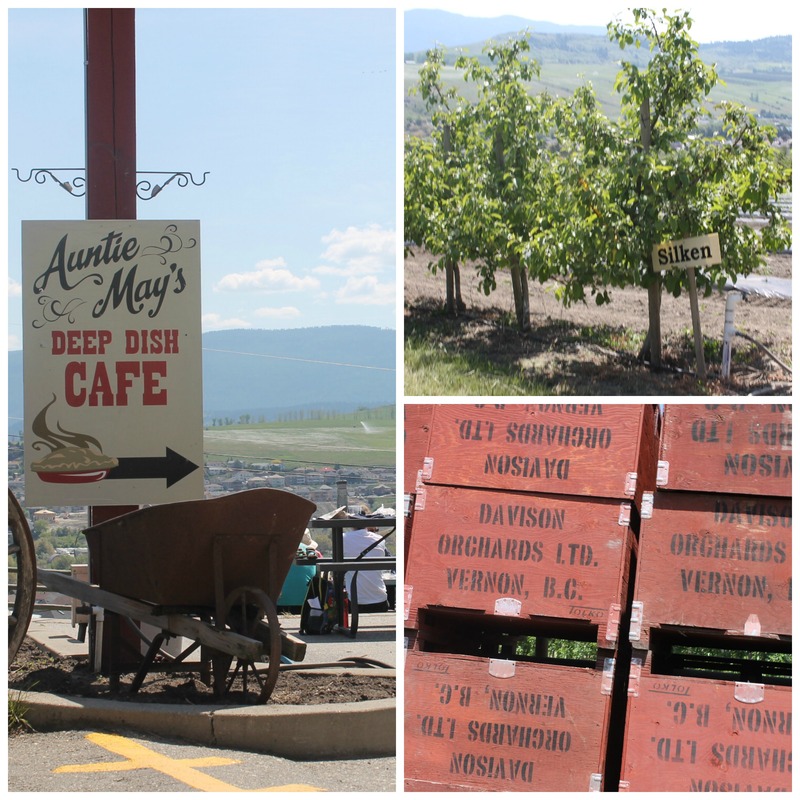 Here are some family-friendly, fun things to do in Vernon, BC, for your to consideration, as you begin to plan your next trip to Lake Country. Visit a winery (or a cidery): The climate of the Okanagan makes it perfect for growing grapes, apples, and other produce, so wineries and ciderys and farm stands abound, especially in the summer. 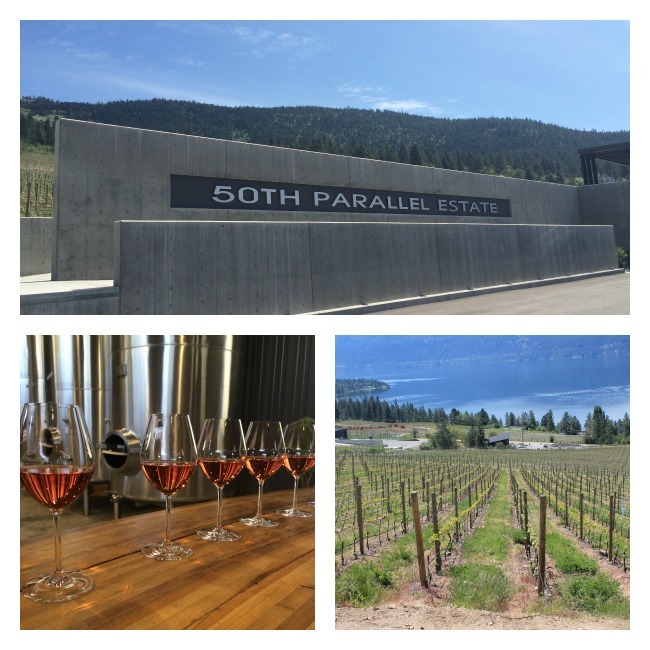 In Vernon, you have your choice of a few wineries: Arrowleaf, ExNihilo, and the one I went to, Parallel 50. Pinot Noir is a popular grape that does well in this part of the world, and both of those last two wineries have wonderful ones. I also especially enjoyed the Parallel 50 Pinot Gris, and their chardonnay was so buttery, I wanted to pour it on popcorn. But visiting a winery is about more than just tasting. It’s about the architecture, the view, and the story behind the winery. Be sure to ask lots of questions and let your curiosity guide you. 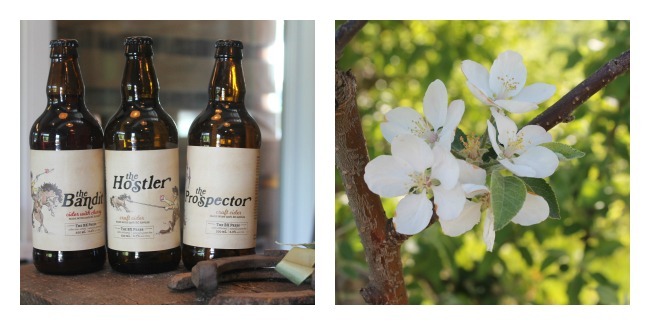 Vernon is also home to The BX Press Cidery. This is a third-generation orchard, who has only recently started turning their hand at making Cider. Craft Cider is the biggest thing right now, and some of the top ciders are being made by women. The BX is no exception. Dave grows the apples, and Missy makes the cider. 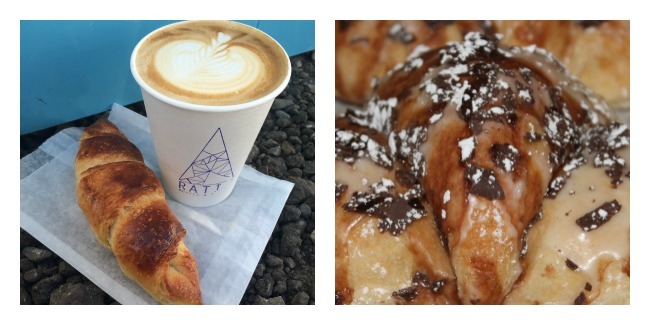 They do a ton of really fun flavours; my favourite was The Bandit, which has cherries added. Mark my words: this cider is going to be huge. You heard it here first. Fun in the Water: Enough with the drinking! Let’s go play outside. There’s tons of options here. Lake Kalamaka has much to offer: swimming, boating, waterskiing, kayaking, and of course, Stand Up Paddleboarding. This has been on my list of things to do for quite a while now, and I finally got to do it–in Vernon. Kalavida Surf Shop is family-owned and run, and they will hook you up. I had a blast, and I can’t wait to go again, despite how sore my legs were the next day. 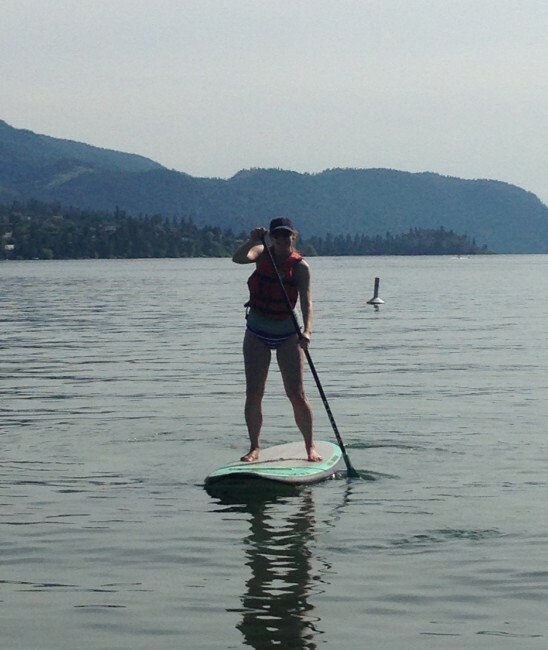 I did most of my paddling on my knees, but I was pretty steady standing up by the end of the day. It’s a great way to explore the lake, and you’ll probably be surprised at how quickly you catch on. Farm-to-table: One of the greatest things about the Okanagan is the abundance of beautiful produce. Farmstands abound, so make sure you visit and pick up some fresh fruits and veggies. There’s also a Farmer’s Market on Mondays and Thursdays in the KAL Tire Place parking lot. As a Farm-to-Table destination, though, or if you just love pie, you have to get to Davisons Orchards Country Village. A working farm, you could basically spend a day here–it is a real family destination. There’s a huge playground, demonstrations, tours, a gift shop, a cafe (where you can buy lunch and then go picnic in the grass), and pie! The most delicious pie! Order a glass of their old-fashioned lemonade to wash it down with. Just down the road from Davisons, you can also learn about bees, at Planet Bee Honey Farm. It’s an educational experience for the kids, and the grownups can taste their 8 different kinds of Meade. 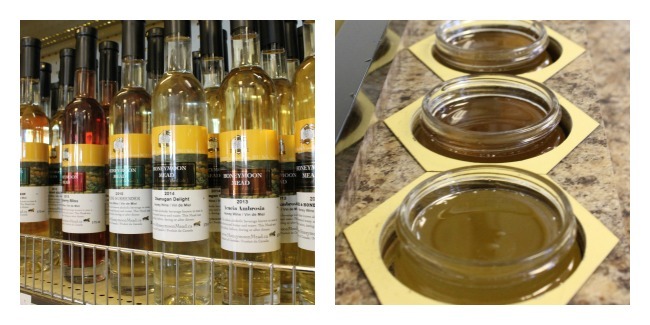 They also taste and sell 23 different kinds of honey. So, go play outside this summer in our amazing Province. You’ll never run out of fun things to do. In fact, you might have to plan another trip to fit them all in!